My husband and I snuck out on a Sunday evening to the SF Ballet’s Performance of Coppelia. Neither of us had seen this ballet before, but I had long wanted to see it, being one of the classics. 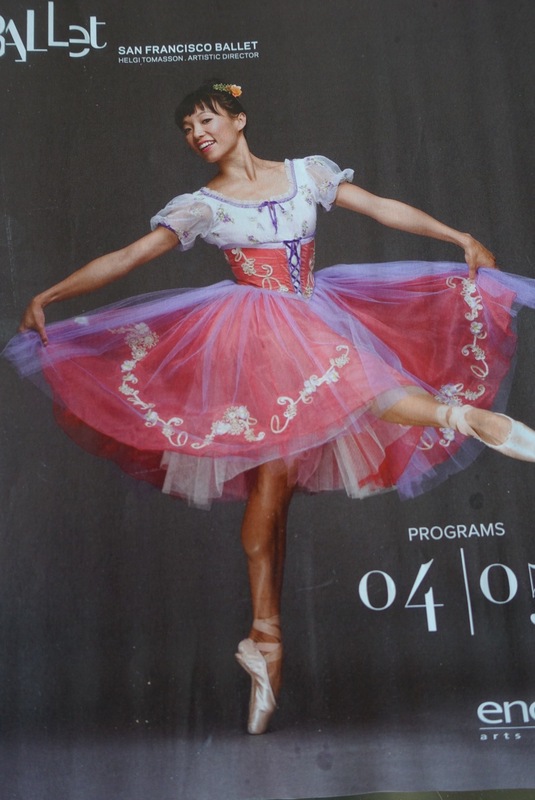 Coppelia is a rarity in the ballet world being a comedic ballet. It’s about a couple, Franz and Swanilda who are in love, but the young man in distracted by a beautiful woman he sees on a balcony. Swanilda is jealous and curious, and goes to investigate what has stolen the attentions of her Franz. She discovers that the beautiful maiden on the balcony was in fact a doll, Coppelia. She then proceeds to play tricks on both Franz and the doll maker. There are in fact some nearly laugh-out-loud moments and, of course, the dancing is exquisite. Waiting for the curtain to go up and the performance to begin. Coppelia was a beautiful and fun ballet. Going to the ballet brings back all the lessons I ever had, keeping my toes pointed, and my turns upright. I love any chance to go to the ballet, particularly in the ornate opera house with truly makes it feel like an occasion.